It’s High School Musical time!!! Support our AWESOME musical department! Go Tigers! Spring is around the corner and with it comes the Huron High School Musical. 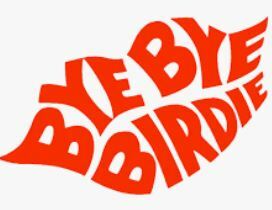 This year’s show will be Bye Bye Birdie. A loving send-up of the early 1960’s, small-town America, teenagers and rock & roll. Please consider sponsoring the show with an ad in the program. Check out the flyer on Facebook here. Applications are due by March 8.